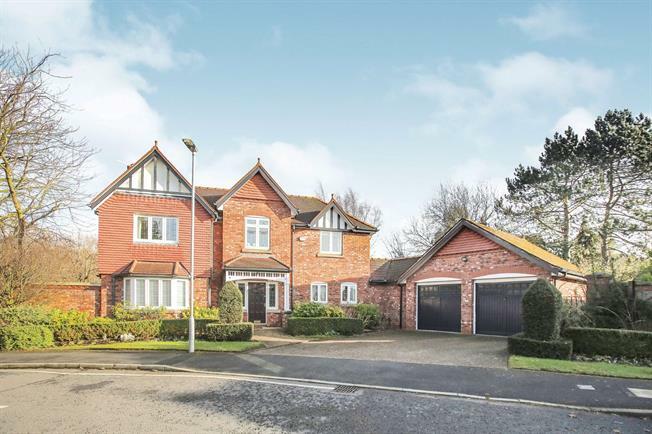 4 Bedroom Detached House For Sale in Wilmslow for Offers in the region of £675,000. This beautifully spacious four bedroom detached house was once the show home, and boasts an enviable corner plot with stunning gardens. The accommodation comprises a triple aspect living room, dining room, conservatory and an open plan family room and kitchen. There is also a downstairs utility, WC and double garage. Upstairs there is a family bathroom and four good size bedrooms including a spacious master with en-suite. Externally the gardens wrap around the property meaning the sun can be enjoyed all day.